MICROSEED WR is the only microgranular fertilizer with starter effect. Nitrogen, phosphorus and zinc, are combined with special polymer for increase water retention and management into soil. 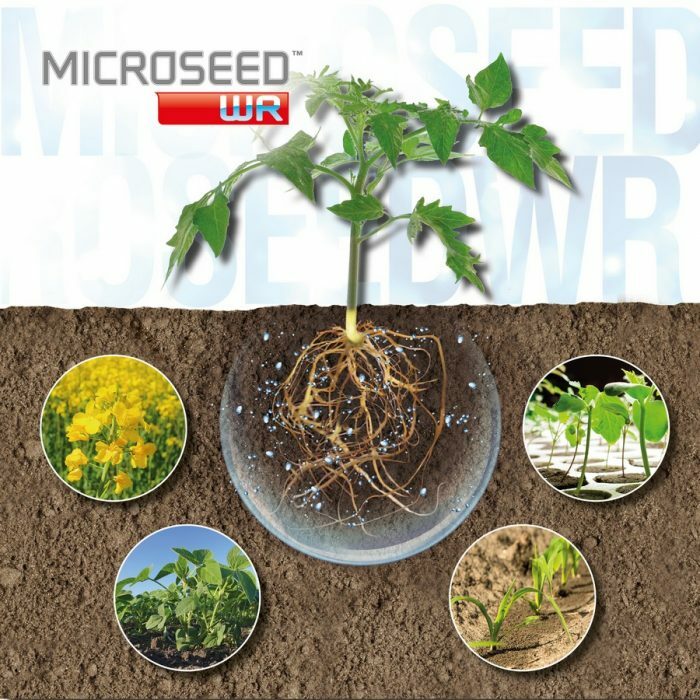 MICROSEED WR works like a sponge: it captures the soil water and releases water gradually during its degradation from 4 to 6 months depending soil organic matter concentration. The WR polymer allows to formation of COMFORT ZONE around the seed and roots for favoring the crop development under water stress conditions such as dry soils, sandy and light soils.